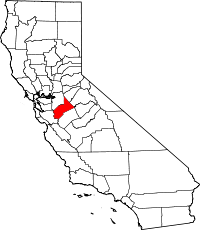 Stanislaus County, California vital records can be obtained from the office of the clerk recorder. Contact the office or visit their website for more information and application forms to request copies of birth, death and marriage records. The index of vital records is available to the public to search during regular business hours, and copies can be ordered in person, through the mail, or online for an additional fee using the third-party VitalCheck Network. For information on obtaining Stanislaus County divorce records, contact the clerk of the superior court.